An institute of excellence, USTM has continuously made significant contributions to the world of academics by nurturing many young minds, facilitating research activities, international seminars, workshops and exchange programs. 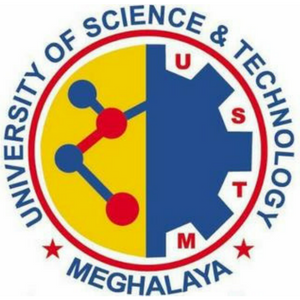 Another unique hallmark of this prestigious institution is the North East Graduate Congress – A highly acclaimed annual event held under the aegis of USTM in association with RIST (Regional Institute of Science and Technology). This unique gathering of undergraduate students was started with the aim to provide a platform for students to showcase their talent, enhance their potential & prepare their action plan for life after graduation through exposure to various life skill programs, interactive sessions and direct interaction with renowned academicians, educationists, industrialists & entrepreneurs of national and international repute in a single platform. This enabled the student community to meet the emerging needs of modern times, move towards new horizons and build a self reliant & developed future for the region and the country. The 5th North East Graduate Congress was organized from 16 – 18 February, 2018 and was participated by more than two hundred colleges from across North East India. Several dignitaries including Prof. Jagdish Mukhi – Hon’ble Governor of Assam, Prof. Ved Prakash – Former Chairman of UGC, Prof. Bhabesh Chandra Goswami – VC, Cotton University, Dr. Nomal Chandra Borah – Chairman & Managing Director, GNRC Community Hospitals Ltd & GNRC Hospitals Ltd, Mr. Dilip Kumar Tirkey – MP, Olympian and Former Captain of Indian Hockey Team, Col. Kuldeep Singh Bhanstu – Director, Khelo India, Lou Majaw – Legendary singer and Youth Icon along with contemporary Assamese singers Padmanav Bordoloi, Brigu Kashyap, Dikshu Sharma graced the occasion with their presence. The atmosphere was abuzz with excitement as much was happening on all three days of NEGC 2018. The newly built Srimanta Sankardeva block of the University and the magnificent cultural procession displaying the ethnic heritage of the 8 north-eastern states were two significant features of this mega 3 day event. The various cultural and sports competitions including the popular “Best Graduate” kept the momentum and with attractive prizes like two wheelers, laptops, tablets, mobile phones and cash prizes being awarded, there was much display of brilliance by every participating team. The valedictory session was a grand culmination of the energetic and elaborate two days of NEGC 2018. A memorable evening that brought together all the students and faculty members for a final celebratory moment, it had Shri Mahbubul Hoque, Chancellor, USTM give an inspiring speech to everyone gathered, followed by the distribution of plant saplings amongst the guest colleges as an eco-friendly gesture by USTM to create a cleaner and greener future. This was soon followed by the prize distribution ceremony where Team Nagaland received the award for the cultural procession, Kaklabari Chapagori College, Baksa district received the award for Best College and the Best Discipline college was awarded to Modern College, Manipur. A beautiful performance by the entire faculty of USTM of “Manuhe Manuhor Babe” an evergreen song by the late Bhupen Hazarika was the star performance of the day. Amidst much excitement and eager participation, the 5th edition of NEGC was successfully brought to conclusion. As the various guest colleges returned home, the students of USTM got busy in gathering together the memorable moments of the event. Everything was relived once again as numerous photos and videos began emerging from all sides. And amidst much laughter and fond recollection, we bid adieu to the amazing NEGC 2018. As we get busy for the rest of the year we fondly await the arrival of NEGC 2019 and eagerly look forward to a grand rendezvous once again. Until then, the entire family of USTM wishes to extend its heartfelt gratitude to all participating colleges, students and faculty members for their invaluable presence and for helping us make this event a grand success. We wish everyone all the best and look forward to our interaction in the coming future.